The concept of Yin Yang originates in ancient Chinese philosophy and metaphysics, which describes two primal opposing but complementary forces found in all things in the universe. Yin, the darker element, is passive, dark, feminine, downward-seeking, and corresponds to the night; yang, the brighter element, is active, light, masculine, upward-seeking and corresponds to the day. Yin and yang are complementary opposites rather than absolutes. 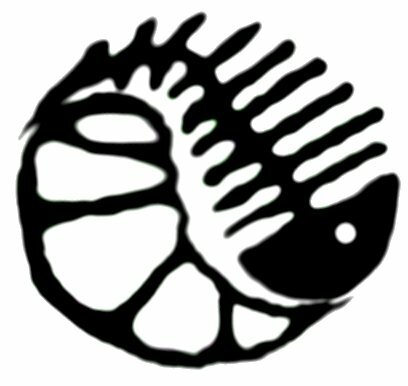 Most forces in nature can be broken down into its respective yin and yang states, and the two are usually in movement rather than held in absolute stasis. It is also possible to look at yin and yang with respect to the flow of time. 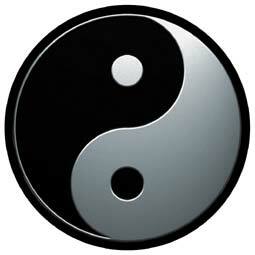 Noon, is full yang, sunset is yang turning to yin; midnight is full yin and sunrise is yin turning to yang. This flow of time can also be expressed in seasonal changes and directions. 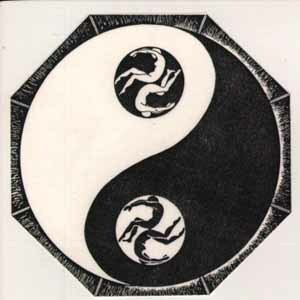 South and summer are full yang; west and autumn are yang turning to yin; north and winter are full yin, and east and spring are yin turning into yang. 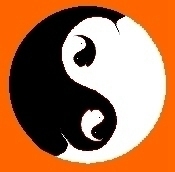 Yin and yang can also be seen as a process of transformation which describes the changes between the phases of a cycle. For example, cold water (yin) can be boiled and eventually turn into steam (yang). One way to write the symbols for yin and yang are a solid line (yang) and a broken line (yin) which could be divided into the four stages of Yin and Yang and further divided into the eight trigrams (these trigrams are used on the South Korean flag). 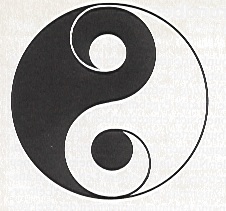 The symbol shown at the top righthand corner of this page, called Taijitu (太極圖), is another way to show yin and yang. The mostly white portion, being brighter, is yang and the mostly dark portion, being dim, is yin. Each, however, contains the seed of its opposite. 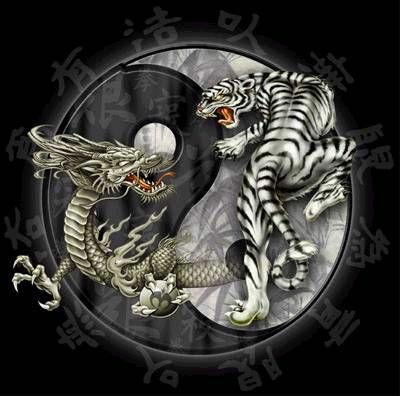 Yin and Yang are equally important, unlike the typical dualism of good and evil. 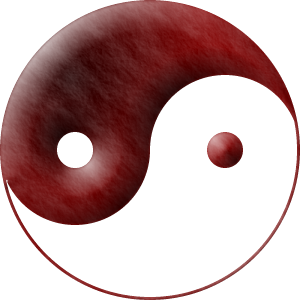 The concept is called Yin Yang, not Yang Yin, just because the former has a preferred pronunciation in Chinese, and the word order has no cultural or philosophical meaning.